Evergreen tree. Best if protected from frost. 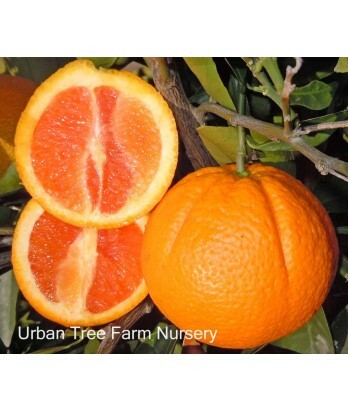 Similar to the Washing navel orange, but the flesh is deep pink, similar to the darkest of the red grapefruits. Juicy and sweet. All citrus are heavy feeders. Regular water needs in well-drained soil once established.